Urumqi Air to receive five ARJ21 aircraft by the end of next year__Commercial Aircraft Corporation of China, Ltd.
Urumqi Air signed a agreement with Commercial Aircraft Corporation of China, Ltd. (COMAC) on November 6th, 2018, on which day the 12th China International Aviation & Aerospace Exhibition was opened, confirming to receive two ARJ21-700 aircraft from COMAC by the end of this year and planning to receive three ARJ21-700 aircraft in 2019. 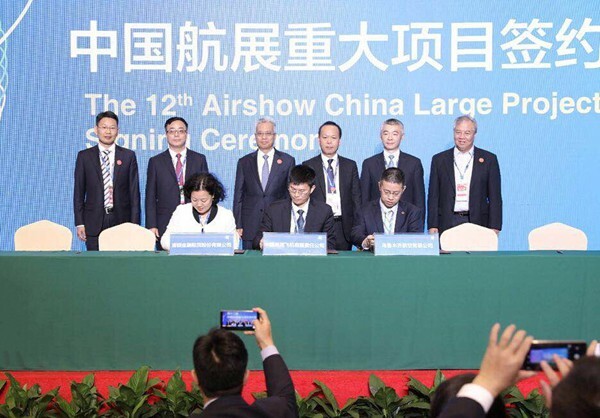 COMAC signed a Letter of Intent (LOI) of 20 ARJ21 aircraft with HNA Group Co., Ltd. at the 51st Farnborough International Airshow on July 16th this year, and it was decided that the aircraft would be operated by Urumqi Air of HNA Group. COMAC expressed that the rapidly developing air transport industry in China is a significant advantage and powerful force in the development of China's commercial aircraft industry. They would explore the way for the marketization and industrialization of ARJ21 aircraft along with Urumqi Air and other domestic airlines. Urumqi Air expressed that ARJ21 aircraft has excellent performance in severe cold and plateau conditions, and could meet the requirements of take-off and landing at the airports in western China. They believed that ARJ21 aircraft would open up broader way for the business development of Urumqi Air, and assist Urumqi Air in providing unique comprehensive aviation services on the "Silk Road Economic Belt". 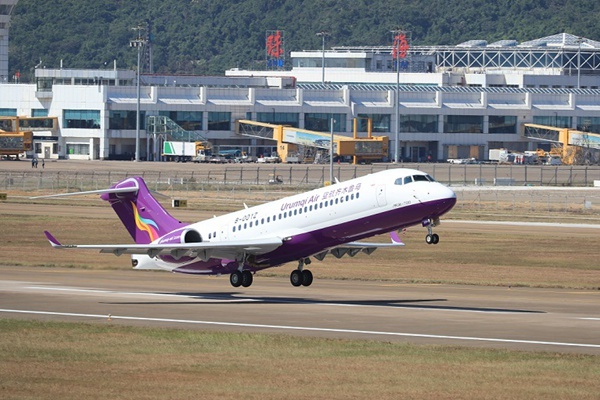 Urumqi Air, having started operation officially on August 29th, 2014, is headquartered in Urumqi, Xinjiang province and is currently the only local airline in Xinjiang. As of October 2018, Urumqi Air has operated 16 aircraft among more than 30 cities, accumulated nearly 110,000 flight hours safely, and accumulatively carried nearly 7 million passengers. A route network structure taking Urumchi Diwopu International Airport as the center and radiating throughout major cities in China has been basically formed. ARJ21 aircraft with Urumqi Air painting debuted during the 12th China International Aviation & Aerospace Exhibition.